There is no denying that as a company, Apple have reinvented the use of the touchscreen. Before the iPhone and iPad, we did have devices which used touchscreens, but these were mostly based on resistive technology and required a stylus or some other horrific jabbing device to operate. Then came Apple in 2007 with the original iPhone which had a beautiful, crisp, capacitive touchscreen built right into it which totally changed the way we use personal consumer electronics. As a company, Apple are now onto the fifth generation iPhone model and about to announce the third generation of the hugely popular iPad tablet and in that time; the touchscreen technology has evolved. The introduction of the Retina display was a huge step forward along with the ability to handle multitouch user gestures for a more effective user experience. I also remember a keynote speech, which I believe was around the time of the original iPad launch, during which Steve Jobs made reference to the fact that touch displays just do not work on notebooks or desktop machines due to the ergonomics and the awkward movements required. A new patent Application by the company seem to hint that they have been working on a way to get around the impracticalities associated with using a product like the iMac with a full touchscreen interface. Submitted this week to the United States Patent and Trademark Office, the application provides an outline relating to a concept of a desktop machine with a touch-enabled graphical user interface. We are all already familiar with various personal computers which already feature a full touchscreen interface, Dell and HP are a couple of examples of manufacturers who have already brought this functionality to the market. But we also know that Apple not only likes to do things better and improve upon existing solutions, but they also only get involved in something if they are sure they can reinvent it. 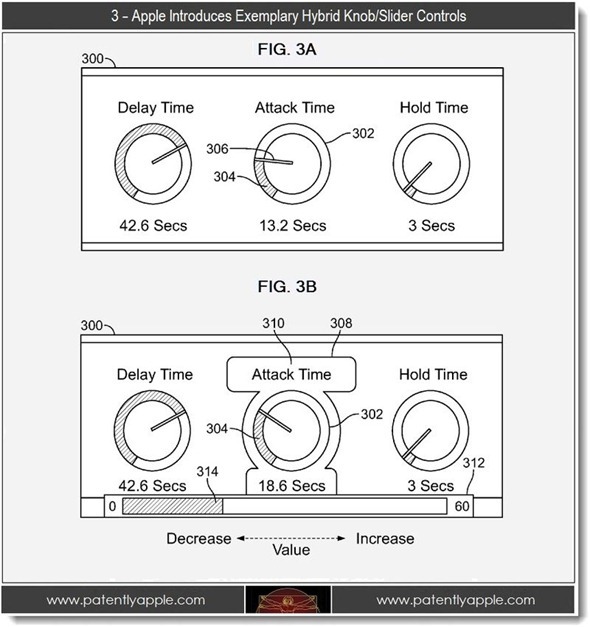 The application seems to suggest that the patent they are attempting to file focuses around on-screen virtual controls, which is a unique approach to the problem and would definitely make a touchscreen desktop machine easier to use, which addresses the initial concern. The on-screen virtual controls concept includes a number of virtual knobs and sliding tools which I can only imagine would allow users to directly control a number of different options through various software packages and may be of particular use to music and video editors. The patent explains, "The visual augmentation could include displaying an outline and/or fill region (e.g. a color or pattern fill) around the knob element, displaying text labels for minimum and maximum limit values and displaying a slider element with the knob element". 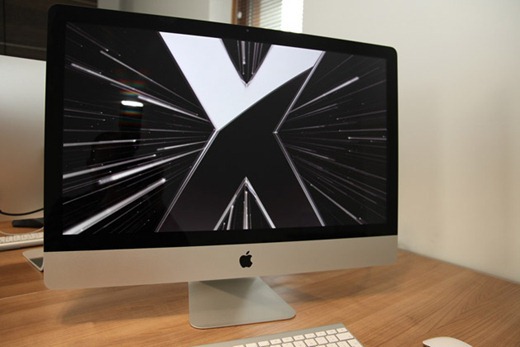 The obvious progression for Apple would be to bring their touchscreen magic to their larger devices such as the iMac and possible MacBook ranges, but time will tell if they have found a powerful, user friendly way of achieving this.